Creating learning environments in public spaces. There is a 6 - 8 minute gap between every train that enters the underground metro station at Cubbon Park, Bangalore. How do we turn the wait into an opportunity to learn and share? The 8-minute project is trying to activate the wait time between two trains. It is imitating the form of mini workshops by creating learning environments for the people taking the metro day in and day out. This intervention is about pedagogy in public spaces. And how general public can be offered creative thinking by using the metro-transit as a classroom, making the process of learning accessible and informal to all in a shared site such as the Cubbon Park Metro Station. We are calling for entries for this project. 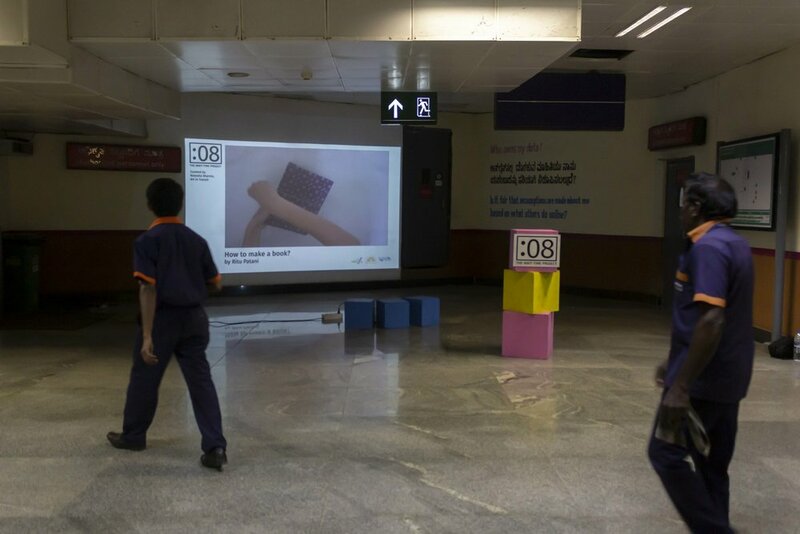 Shoot a silent video and share it with us - from cooking to making a zine to everyday hacks and more and watch others learn from you in the metro station. We expect silent videos with text if necessary. (no sound). It can range from a minute long to 8 minute max. and send it to mail@natashasharma.co in with your contact details. Why is it called the The Wait-Time project? 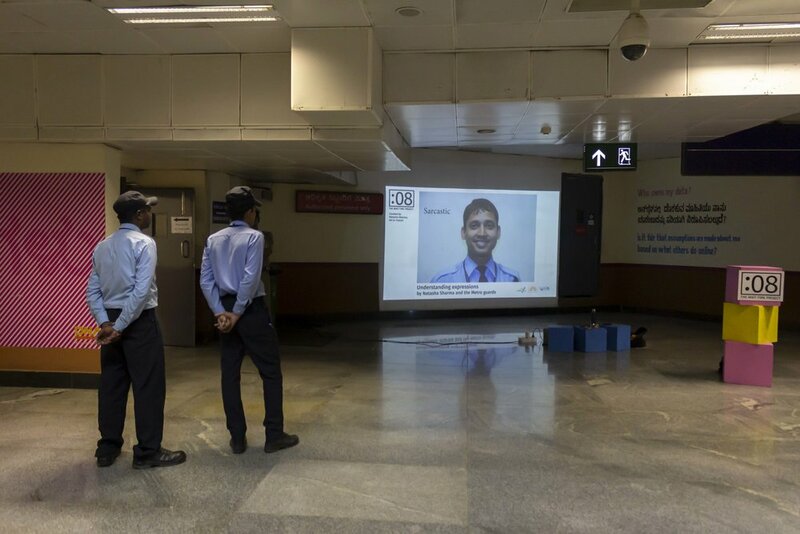 As the project is trying to teen-age with the commuters during the wait between the trains at the metro. The name marks this interaction and is specific to site and time. What is the project trying to say? How will the project realise itself on site? Through projections on the platform or other pause areas during the wait time between two trains. Does it have to teach something? 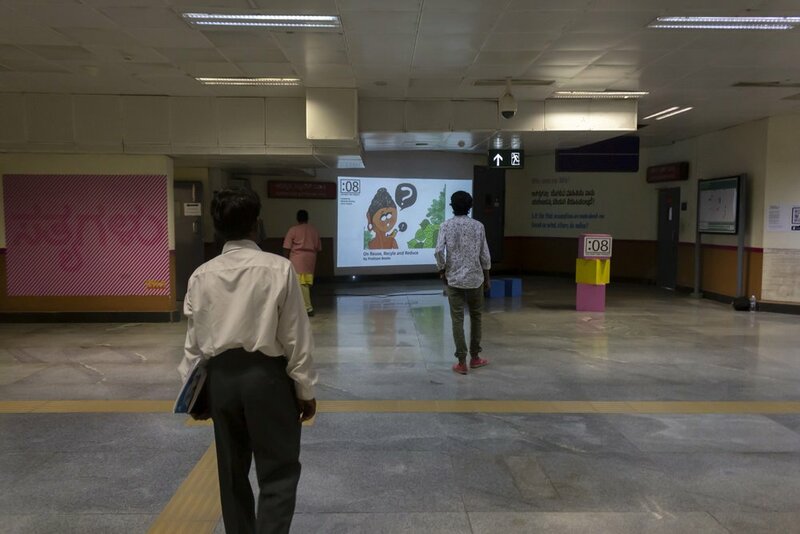 The intent of the project is for the commuters with different socio - economic background to chance upon works that is informative/ can teach something/ can make them aware of something / can show them creative ways of doing something. There is space for humour and quirk, but its always nice to be sensitive with what you want to display in a public space. Does it have to be a video that is shot? Not necessarily, it can also be a slide show, a set of images put together, an animation, stop motion, gifs. Something that is mainly directed visually. No, in order to not hinder with the announcements at the station the videos are intended to be silent. Text, graphic or actions can help direct the video. Does the video/ images/ slide show have to be of any particular dimension? 10 x 12ft area on the platform. It can be from 30 seconds to 4 minutes long. (even more if you like) All the content will be projected in continuous loop in the gap time between the two trains. Of course, your name/ your company’s name will be projected and mentioned under the title of your video. I will do the formatting. It’s a continuous entry. We select and play it at every next run on site. 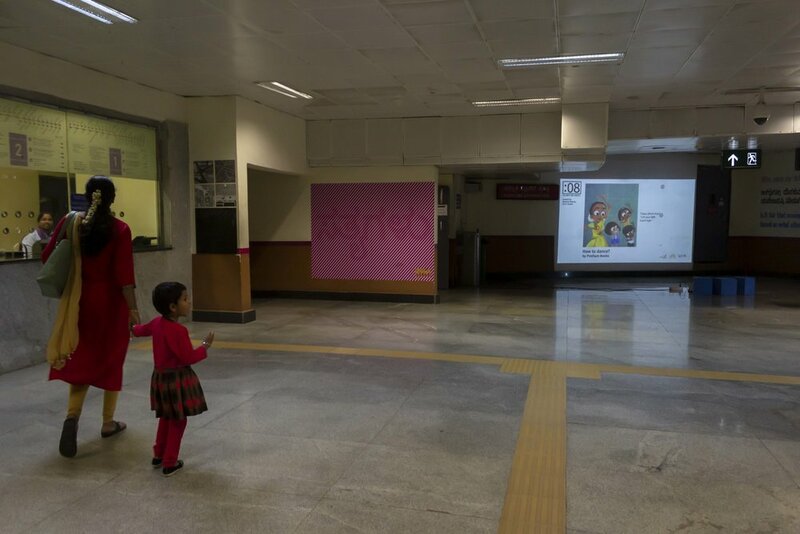 I don’t live in Bangalore city, but I really want to see how people interact with the projections. I will definitely document it for you and send it to you for the amazing contribution you’ve made to the project. Check Instagram for process and teasers from other entries. Also check out the teaser below.